Tarun Gupta October 9th, 2018 Email Marketing no comments. 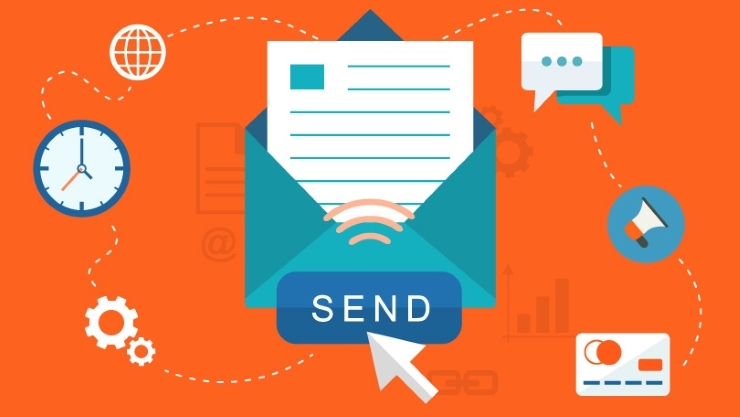 Among many digital outreach methods and tools that we use, email marketing is the mighty one. Email marketing can deliver better results than other when it comes to audience outreach. Thus, it’s always a better idea to rely on email marketing to reach a huge number of people who are interested in your offerings. And being the most well established outreach method, Email marketing is till the show stopper if used properly and with discipline. Bombarding inboxes with random emails and blatant sales pitches are indeed not an effective method of outreach. The article brings forth some of the established and ethical email marketing best practices to engage more people and increase the open rate. Days of standard emails are now numbered. Emails with general messages are futile and convert rarely. Who else than you would ever be interested in knowing the infra of your newly constructed office space? An email should aim at something. It should be triggered with a goal in mind. To improve conversion rate of emails, write hard hitting and catchy emails headings. The title of the emails should tell the audience what they will get for opening the email. The content within the email should be in sync with what you’re actually offering to the recipients.The only aim of an email is to impress and entice people and give them a reason to click over to your website. Now as you have pulled the plug over your goals and offers, the next destination would be picking up the right bunch of audience who are going to click your link. Even a wisely drafted email with a great offer can fail to make any impact if it targets the wrong audience. You May Also Like : How To Tune Up Your Email Marketing Campaigns Like A Pro? An email promoting male cosmetic range won’t get enough traction if hits the recipients who are female. Your target audience would be the group of individuals segmented into specific email marketing lists, at which a campaign is focused. Your target audience should be selected as per the target demographic for each email marketing effort. They are the right people who would be most likely to convert. Till now, you are up with a beautiful email and a list of targeted email audience who would consume your campaign. The next thing in loop is to monitor the frequency of your email blasts. Respect one’s privacy and personal preferences before sending an email. Your emails are kind of advertisements and announcements, and certainly not suitable for every buyer in your list. If your emails are found to be hitting every one’s inbox blatantly, you will see a spike in the bounce rate. This is because annoyed recipients won’t think a second before dumping your emails in the junk folder. Treat every recipient in the list as your follower. Stay connected with them with right communication at the right time. Success doesn’t come at once. So, don’t expect best outcomes from the very beginning of your email campaign. An email campaign requires hard work, multiple A/B tests, and refining of email strategy to really grab all the potential. Collect your own campaign data to determine the progress of email campaigns and tweaks in strategies if required. This is why it’s integral for marketers to gather own data on target audience and other demographics as well to dive deeper into campaign details. Emails with blatant sales pitches are complete nuisance. Don’t ever try to sell things via emails. Emails are a medium of engagement to connect with your potential customers. Once they are on the same page and connected, you can ask them to buy something as at that point of time this shouldn’t be too hard to do. If recipients feel that you’re trying to force them into buying something, they’ll probably just hit that delete button. Recipients take time before starting to believe you. They tend to take time and explore the possibilities before making any advance. When you build and send your first email campaign, response may take time to come. Audience may not respond immediately, but will start looking at you in due course.